Coles Fine Flooring | Carpets | Selecting a Carpet | Why Carpet? Carpet offers much more than other flooring choices. Wood, vinyl, and tile can’t touch the versatility, comfort and style that carpet delivers. It’s simply a great foundation for your feet and your room decor. Carpet is the foundation of your decorating. It can enhance a room with causal simplicity, or create a showcase for formal elegance. 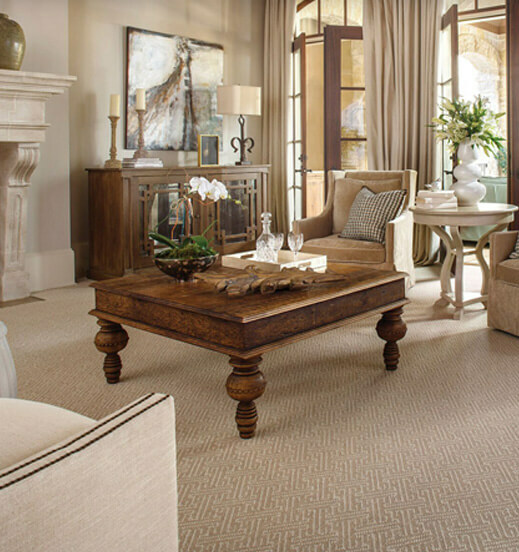 The style and color selection is so vast; you can find carpet to complement any décor. With carpet you can capitalize on the psychological affects certain colors have on mood. Think about bright, cheerful colors for children; soothing tones for older members of the family. It can also help when designing home offices and family rooms. It’s a great non-slick walking surface that prevents slips and falls. It ensures that seniors and toddlers find sure footing.